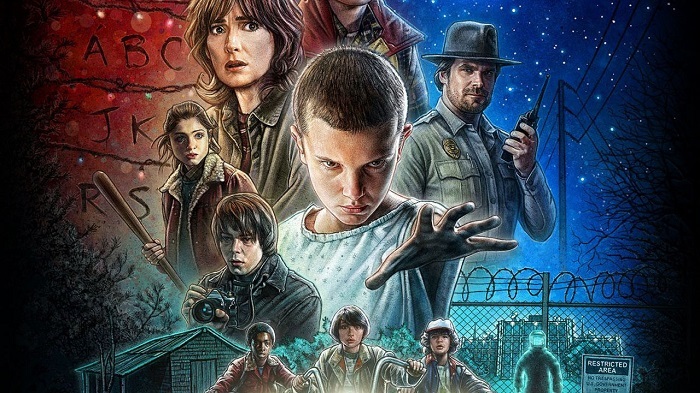 "This summer's best movie isn't a movie, it's 'Stranger Things'"
I finally saw Stranger Things season one on Blu-ray disks and it was very good and mysterious. I would prefer to see less of Winona Ryder and more of the kids being tested, but most people would enjoy this retro TV series. I predict that Millie Bobby Brown will be a big star one day. Gee whiz, why the hell am I always the last one to hear about these things? Come on, guys, I'm Bud Brewster, The King of Science Fiction, for God's sake! But praise the gods, Sir Bulldogtrekker (The Prince of Star Trek) has come to my rescue and made me aware of this marvelous Netflix series. And so, with a wave of my royal hand, I commanded Netflix to stream this series so I can binge watch it until l've caught up with the rest of the loyal fans in my kingdom and no longer feel like such a ignorant schmuck! 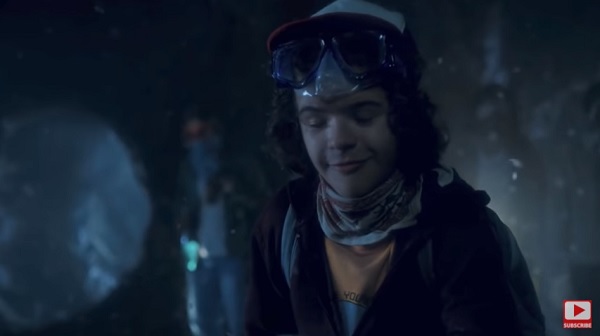 Wonder of wonders, my kingly wave of the hand not only delivered Stranger Things to my Netflix list, it also bestowed upon me Stranger Things 2! Therefor, I hereby proclaim this to be Stranger Things Week throughout the kingdom! Let all the people rejoice and celebrate with song and dance and flagons of ale server by comely wenches! The first round is on me, my loyal subjects! Be sure to tell your wives they're driving the wagon home when you head back to your farms. Well, I've watched and enjoyed the first two episodes of season one now, so thanks for the recommendation. When should I expect the comely wenches to arrive? Oh Bud...If you missed this you missed the best series of 2017! The first series is terrific...the second is magnificent! 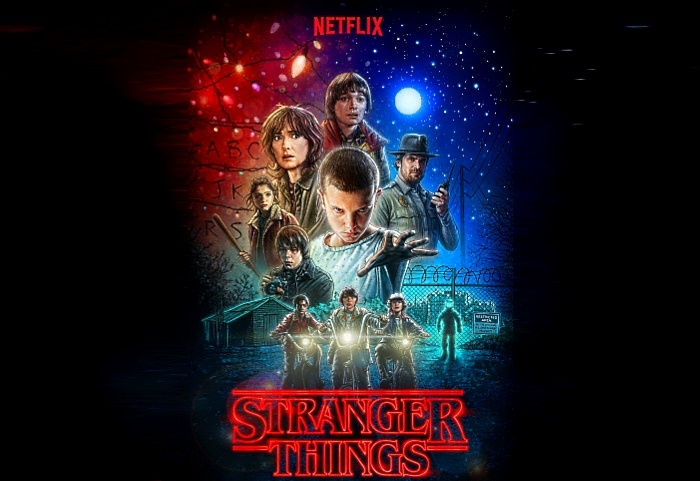 And don't miss the "After Stranger Things " series which gives even greater inuight to the making of the opus from the mouths of the actors and creators of the seriies. Although it falls somewhere between horror and sci-fi it surely deserves a shout out here! Beginning it is a guilty pleasure. I could NOT stop watching it no matter how long it took! The characters are so well displayed and portrayed that you can not help but be drawn into the story! I'm about eight episodes into the series (streaming it on Netflix) and I'm really enjoying it! So far the story is comprised of many mysteries with no solution's yet, but I'm hoping when "pay-off" time gets here I won't be disappointed. That's happened several times with other series. Lost, for example, degenerated into nonsense and just left me feeling cheated. Based on the above recommendations, I don't think that will happen with Stranger Things. I've got halfway through season two now, taking one episode an evening, and it's still suitably intriguing. I just finished season 1. An excellent series. I can't wait to start season 2. Whew, I watched the final two episodes of series two last night - episode nine was over an hour long. 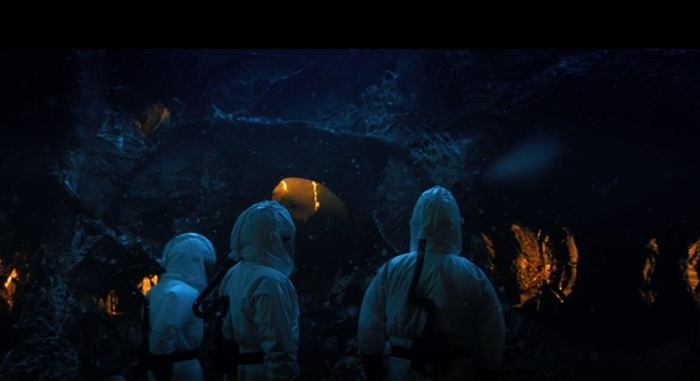 We had had episodes without Millie Bobby Brown, and an episode where she was the only cast regular we saw (outside of flashbacks)... episode eight was at an Aliens level, while episode nine cranked the dial up to Eleven - see what I did there? I've completed season two as well, and it was teeee — riffic! Season two's first few episodes make you think it's going to be sort of light and fluffy compared to season one. 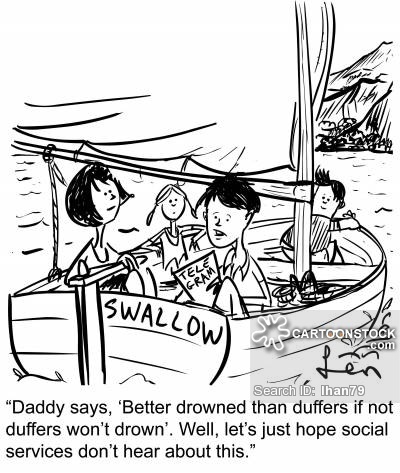 Ah yes, they fooled me there, and when things got rough and scary again, I was delighted! A great series. It took me a few episodes to get used to the kids being a little older (and taller), but after a while I stopped noticing. They were still adorable (and extremely talented) young actors. The British actress Millie Bobby Brown has been named one of the world’s most influential people at the age of 14. The young star of Stranger Things, a Netflix drama, is listed along with President Trump and Kim Jong-un, the North Korean leader. She is the youngest person ever to be on the Time 100 list, which also features Prince Harry and Meghan Markle. 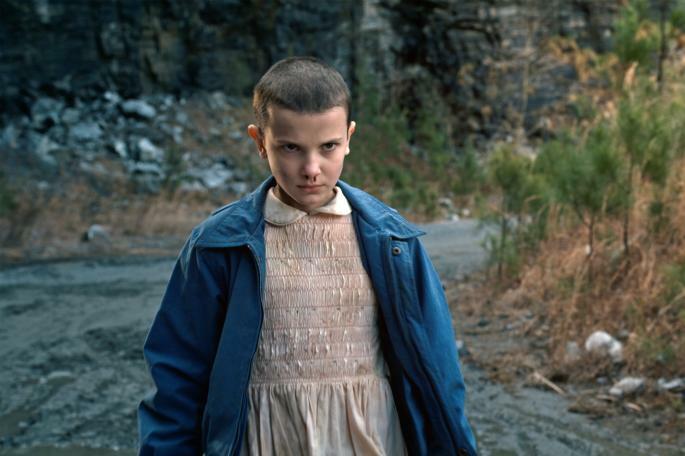 She won an Emmy Award nomination for her role as Eleven, a girl with eerie powers and telepathic abilities. Other British entrants on the list include Ruth Davidson, the Scottish Conservative leader, and Sadiq Khan, the London mayor. Tarana Burke, the activist who created the #MeToo movement, is also in the Time 100, alongside the actresses Jennifer Lopez and Nicole Kidman. The 2018 list also features Rihanna, the singer, and the rapper Cardi B. Great pacing (especially the segues) and characterization. Not so much for the second season but it's still fine. They should probably end with the third season. If the talented folks who produced this series can get over the high bar they set for themselves when they do season three, I'll be very pleased. As for season four being good too . . . well, "stranger things" have happened!